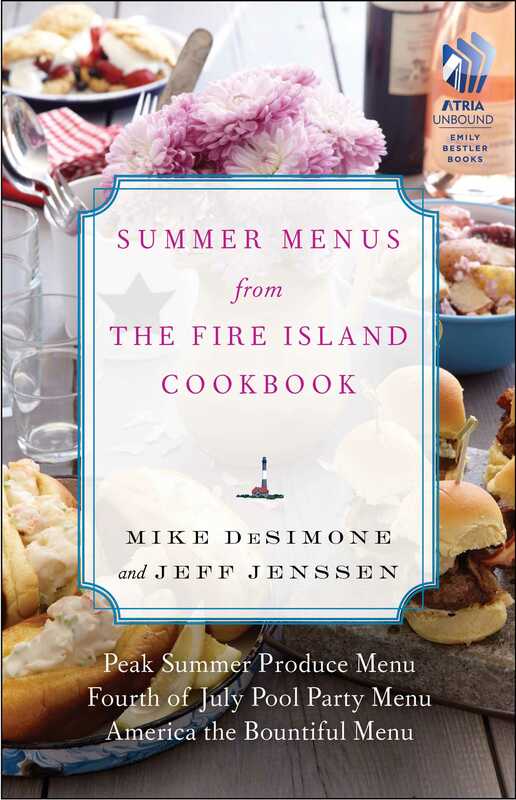 Summer Menus from The Fire Island Cookbook by Mike DeSimone and Jeff Jenssen includes recipes from the Peak Summer Produce Menu, the Fourth of July Pool Party Menu, and the America the Bountiful Menu, all from their full-length cookbook. Enjoy these delicious recipes now and all year long! Mike DeSimone and Jeff Jenssen, also known as the World Wine Guys, are wine, spirits, food, and travel writers. They are the Entertaining and Lifestyle Editors at Wine Enthusiast Magazine. Their articles and photographs have appeared in Wine Enthusiast, Wine Spectator, and Saveur. They are the authors of The Fire Island Cookbook, the Port wine chapter in The Ultimate Wine Companion, the South African Whisky chapter in Barrels and Drams, and Wines of the Southern Hemisphere: The Complete Guide (October 2012). The duo regularly host wine tastings and educational seminars around the world. They are members of the International Food, Wine, and Travel Writers Association, The Society of Wine Educators, and The James Beard Foundation. Mike and Jeff received the prestigious Golden Pen award for their coverage of Croatia. They have made numerous appearances on The Martha Stewart Show, both television and radio. Their hobbies include chasing the harvest wherever grapes are grown and dinners with winemakers and friends.